John "Pops" Arthur, seated, center. 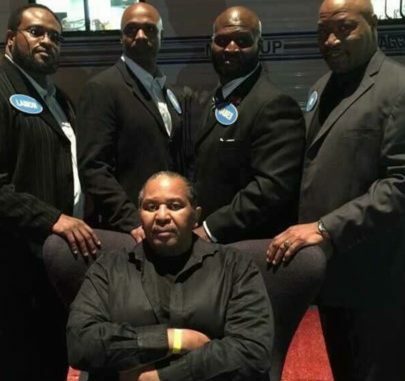 In back, left to right, Lamon Brewster, Chris Byrd, James Toney, and Ray Mercer. John Arthur will be the first to admit that he should not be here today, breathing, telling you his story. He should have been found dead long ago on some sorry dirt patch in a foreign country—Thailand, Japan, Russia—after absorbing a fatal blow in one of the many underground deathmatches he participated in as a teenager. Or on a cold, dark floor of a garish clip joint in Atlanta, after a drug bust gone wrong, back when he was a sting operator for the Georgia Bureau of Investigation. Or perhaps Arthur’s demise would have come much sooner before he could have ever envisioned himself entering such violent professions: on some shabby street corner, laid out and bullet-ridden, the unintended victim in a crossfire somewhere in Chicago’s South Side, where he grew up as a child. Instead, Arthur survived. In those years in which he was no more than a hair’s breadth from danger, Arthur confronted his adversaries head-on, with gumption, guile, and brute force alike. His various occupations—detailed at length in a Men’s Journal profile in 2018—included stints as a globetrotting bare-knuckle fighter, a cop (one of few black ones) in a bigoted Southern town, and an undercover agent for the FBI assigned to the seediest narcotics cases. But the perpetual threat of danger that hung over not only his own head but that of his family led Arthur in search of a less-taxing pursuit. He ended up in Hollywood, the promised land of self-reinvention, began working alongside the celebrity martial arts expert Billy Blanks, and one day found himself in the gym going fifteen rounds of sparring with James Toney. Arthur had found his next calling. Another protege is Isaac Dogboe, the young Ghanaian super bantamweight who lost his WBO belt in an upset to little-known Emmanuel Navarrete in December. 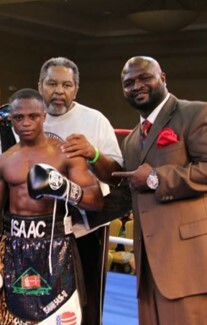 Dogboe’s father and trainer Paul had sought out Arthur’s counsel early on in his son’s career and the trio became close. Arthur, who was not with Dogboe the night of his loss in New York, believed some of the media hoopla got to the fighter’s head, among other distractions. But, more than anything, he believes the corner was simply unprepared. The plan now is to regroup stateside and train in California for a projected fight in April, perhaps a rematch against Navarrete. “I told Isaac as long as I’m six feet above ground I will never let him and his dad go into another fight like that by themselves,” Arthur insisted. 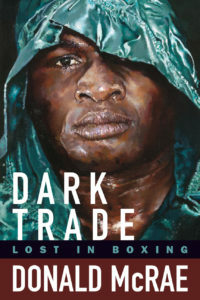 By the time Arthur linked up with Nunn in 1999, the fighter was an over-the-hill light heavyweight trying to resuscitate a disappointing career. Long gone were the days when he was regarded as the most talented (and mercurial) middleweight in the world, on the cusp of superfights with the likes of Sugar Ray Leonard and Thomas Hearns. An upset loss—in which Nunn was the 20-1 favorite—to a twenty-two-year-old Toney in a 1991 title bout spelled an end to the hype. Reclamation projects are Arthur’s specialty, but his revival with Nunn was short-lived. Arthur began to notice some shady members turning up in Nunn’s fraternity. A street guy himself, Arthur told Nunn, “Something in the milk ain’t clean here. Get rid of them,” but to no avail. In 2004, Nunn was sentenced to federal prison for twenty-four years on drug conspiracy charges. Razvan Cojanu would be the six-foot-seven Romanian heavyweight whom Arthur had found in a local gym shortly after the fighter’s first fight, a loss, in 2011. They bonded immediately upon meeting. Arthur guided him toward a title shot against New Zealand’s Joseph Parker in 2017, though Cojanu fell way short in a unanimous decision loss. 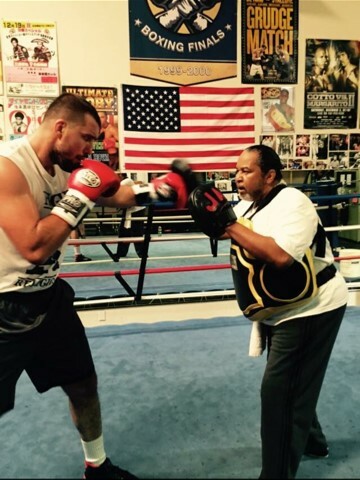 In his next outing the next year, he was wiped out in two rounds versus Luis Ortiz. Toney, though? He stuck by Arthur. In a sense, Arthur was a strange choice for Toney. Though he made his bones in the bare-knuckle and criminal underworlds, Arthur’s credentials in boxing were scant. He never grew up in the gym like Ray Arcel in Stillman’s or fought professionally like George Benton. But “bad boys” like Toney (and Nunn) were not attracted to pedigree. In retrospect, this should not have been surprising. A natural talent like Toney never needed any teaching. He needed harnessing—not a trainer as much as a counselor who could impose some semblance of control over his wildest impulses, someone who would not cower before him during his most irritable moods. He needed, in other words, someone with “street cred,” someone who would be willing to go fifteen rounds of sparring with him (as Arthur said he has done). With a minute to go, Toney connected on a slew of pinpoint counters that had Jirov hurt visibly for the first time in the fight. “The guy you hear in the corner hollering ‘He’s hurt, he’s hurt,’ in the fight—that’s me,” said Arthur. With mere seconds remaining, a body shot from Toney sent the iron-chinned Jirov to his knees, though only momentarily, as the Kazakh would be on his feet in time to hear the bell. It was a late-career performance for the ages, and the judges agreed, giving Toney a fairly wide unanimous decision.